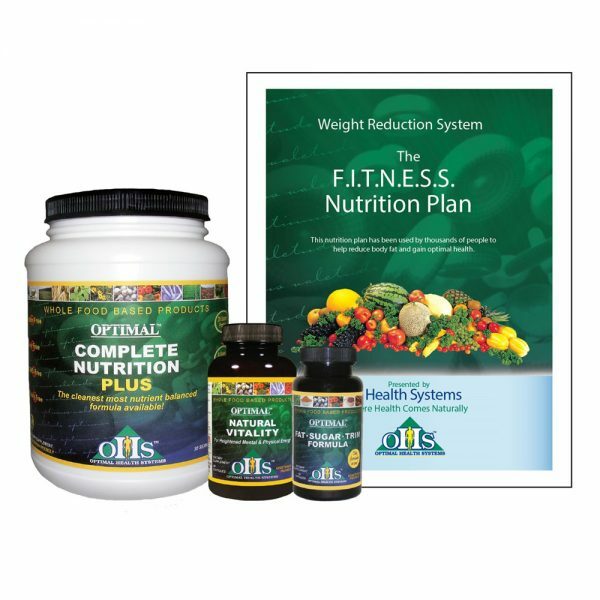 Weight Reduction System – This system utilizes 3 powerful products to nutritionally support quick fat reduction while supplying healthy nutrients for optimal health. Optimal Fat-Sugar-Trim is our unique secret weapon against fat. 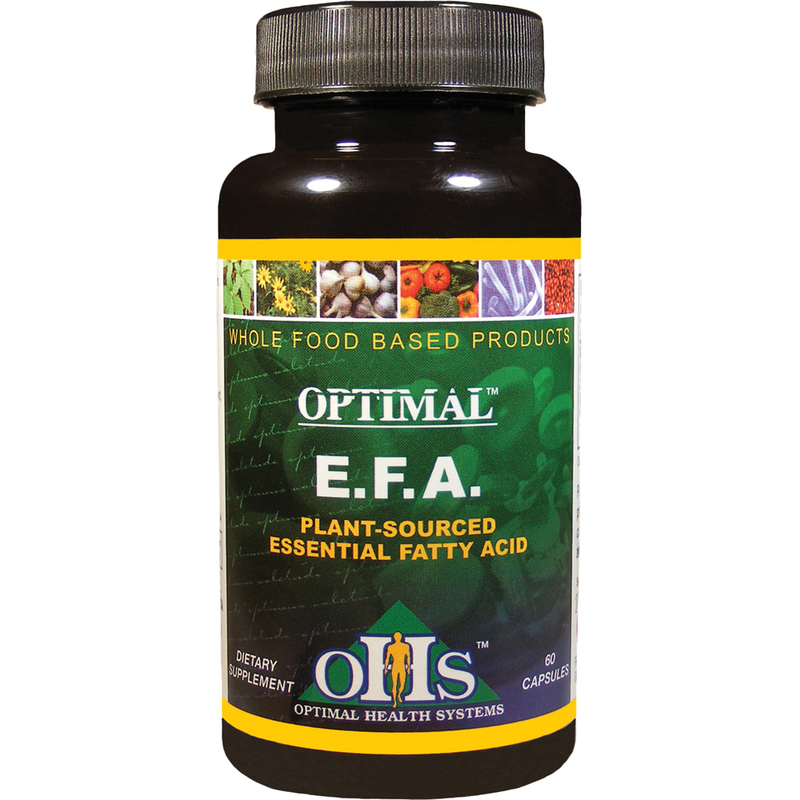 It digests dietary and body fats utilizing the powerful fat digesting enzyme lipase along with fat metabolizing herbs and nutrients. This formula can be taken at night because it has no stimulants and it also helps nutritionally support healthy blood sugar levels. The second formula is called Natural Vitality which is the most potent whole food energy and focus product available, Vitality boosts your energy and fat metabolizing capabilities without the use of synthetic caffeine or stimulates. The final formula is our widely acclaimed Complete Nutrition powder. This vegetarian “all in one” powder is a staple for those who want a nutrient dense low calorie drink to use as a snack or even to replace a meal. A suggest healthy eating plan including menus, shopping guides and even what to order when eating out is included FREE with your order. Otherwise known as the Metabolism formula, this formula effectively digests fats and sugars, and gives your body the nutrients it needs to metabolize them as energy instead of being stored as fat. It is an easy, sensible way to reduce the damage caused by fats and sugars in the diet and help the body fight and ward off common diet related diseases, such as diabetes and high cholesterol. The Fat-Sugar-Trim formula helps the body use up the fats and sugars in your diet that otherwise may be stored in the body. This advanced NATURAL VITALITY FORMULA utilizes a custom grown, highly potent green tea combined with over 50 other whole food nutrients. This blend creates high amounts of sustained energy and focus. Each capsule now provides the caffeinated power of a cup of coffee, but without any synthetic or separately added caffeine. 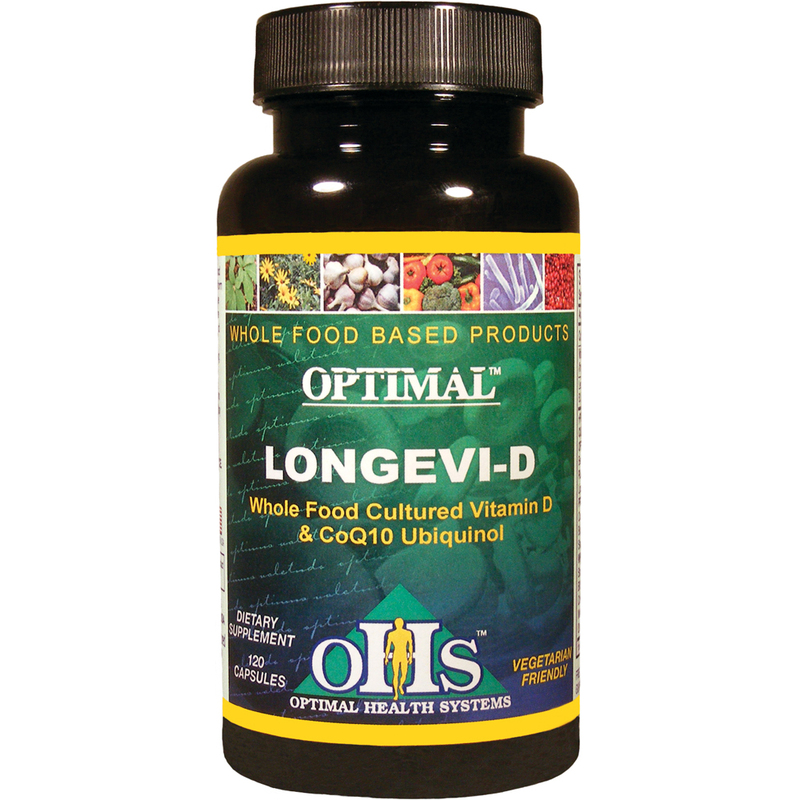 Start with just one capsule in the morning and early afternoon to allow the body to get used to these potent whole food B vitamins and herbs. 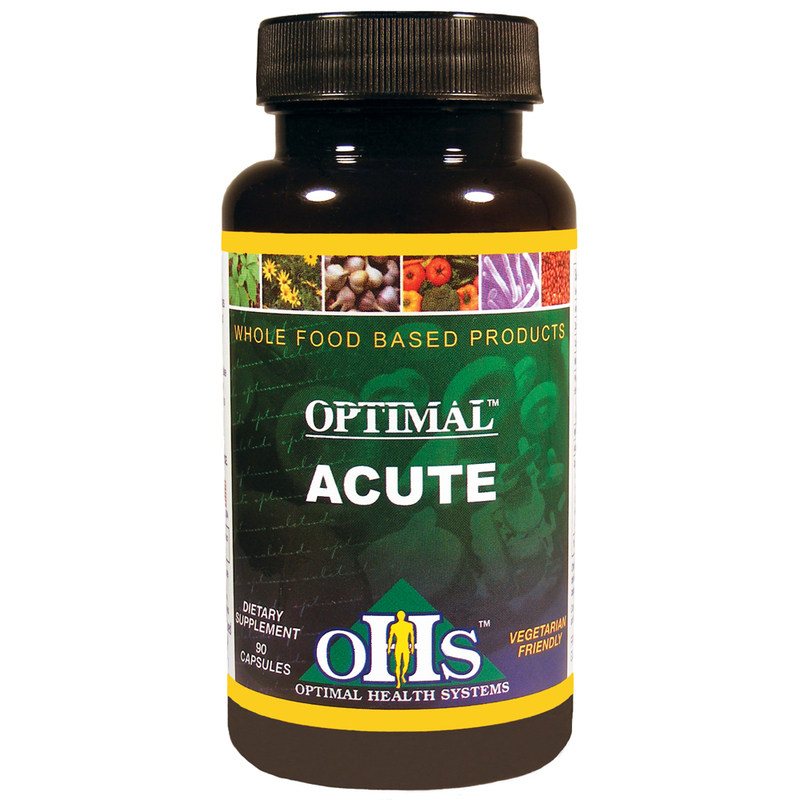 All nutrients are cultured in a whole food blend of stabilized probiotics, plant enzymes, and antioxidant foods. This guarantees our commitment to no synthetic vitamins, minerals or caffeine, unlike other hourly energy supplements. This product is designed to help improve both your mental and physical energy levels. Research shows that many times people lack focus and have diminished energy levels due to a lack of specific nutrients. These nutrients are needed to feed the brain and body in what is known as the krebs (energy) cycle. Natural Vitality provides the body with the deficient nutrients, and it does it through pre-digesting the nutrients with its Opti-blend Delivery System. This blend consists of specific amounts of enzymes and minerals to drive the nutrients to the cellular level quickly.You will feel the effects of increased focus, motivation and energy shortly after taking Natural Vitality. And it is a product for which you can easily adjust the dosage and times of use based on your own particular needs. Proper nutrient balance is practically nonexistent in our diets today and we pay for it in the resulting fatigue, weight gain, and disease. Several factors contribute: First, farming practices and processing methods, rob foods of the vitamins, minerals, enzymes and probiotics they once contained. Then, foods high in refined sugars and flour and the many pre-packaged and fast food meals we consume are devoid of needed nutrients. Add to that the fad diets, the many times we have to eat on the run, and the constant stress we encounter, and it’s no wonder our bodies are starving for nutrition. The body can only operate optimally to restore energy, fight off colds and flus, and lose weight or maintain optimum body fat percentage if it is receiving the nutrient balance it needs. Optimal Complete Nutrition supports proper functioning by providing the micronutrients the body needs in the best, most absorbable form available, including whole food vitamins, amino acid chelated minerals, stabilized probiotics, and pure plant enzymes. The macronutrients (carbohydrates, protein, and fat) in this powerful powder are also in the finest form available including an energy-producing carbohydrate blend of Inulin and stabilized rice bran, vegetable protein carefully blended to insure the correct amino acid profile and healthy fat from flax seeds.